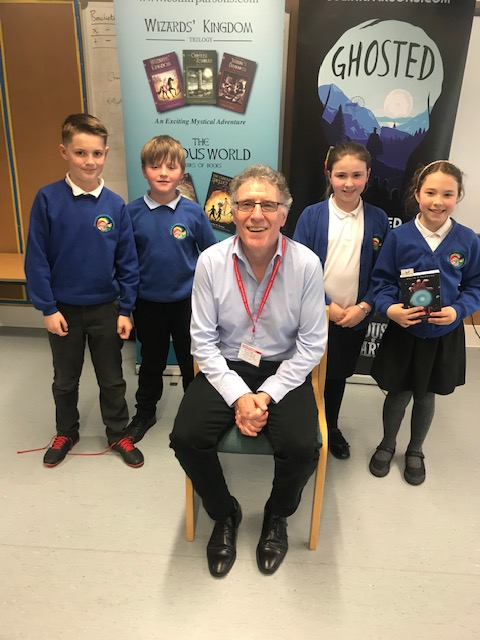 Four of our Year 4s took part in an Able Writers Day with author Colin R Parsons. Year 4 had a wonderful time at the Pencil Museum. The work the children produced there is fantastic and looks great in our classrooms. In Class 10, we have some children who have completed their Times Table Passports. Well done! Thank you to our wonderful visitors who came to talk to Year 4 today. This week, Year 4 have enjoyed reading Mr Stink as part of their English lessons. Last week, Year 4 did a great job of making Apple Crumble. Thank you to the child who brought in the delicious apples for us. Thank you to everyone who came to see Year 4 perform on Wednesday. We are so proud of the children, they were fantastic! Thank you to our lovely visitor. Class 10 really enjoyed hearing about your experiences. On Tuesday, Year 4 visited Tullie House to learn about Judaism. This term we will be studying India. We will begin the topic by discussing what we already know about India and finding out where in the world India is located. We will explore the various climate regions, mountain ranges, rivers and religions of India as well as sketching the famous Taj Mahal in art. Our Science Topic this half term is Animals including humans. We will be looking at the digestive system, how it works and the functions of the various parts. We will also spend time learning about teeth. We will focus on the effects of various liquids/foods on our teeth and what we need to do in order to look after our teeth. This year we will continue to use our homework grids. Homework has been split into three sections. The first section offers a wide range of activities for your child to choose from centred around our topic. The second section contains weekly spellings which need to be written out and practised. Children are then asked to use a dictionary to look up the definitions of a choice of three spellings for that week. The third part of homework for Year 4 is Times Table Rockstars practice page. This contains a mixture of multiplication and division facts that's designed to be completed within a 3 minute time limit to improve your child's quick recall of number facts. If you would like any further information or support with homework, please speak to Mrs Neil, Mrs Wallace or Mrs Banks who will be more than happy to help you.